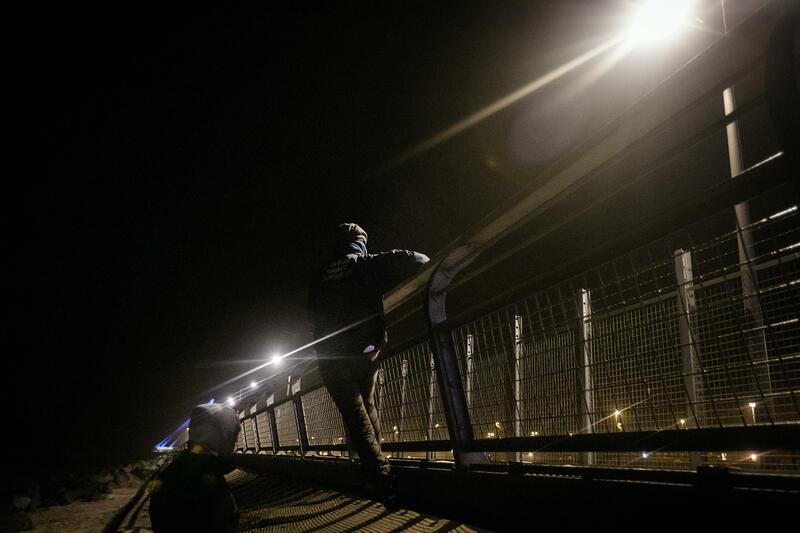 Every night, small groups of transit migrants try to cross into the United Kingdom from the French and Belgian coast. 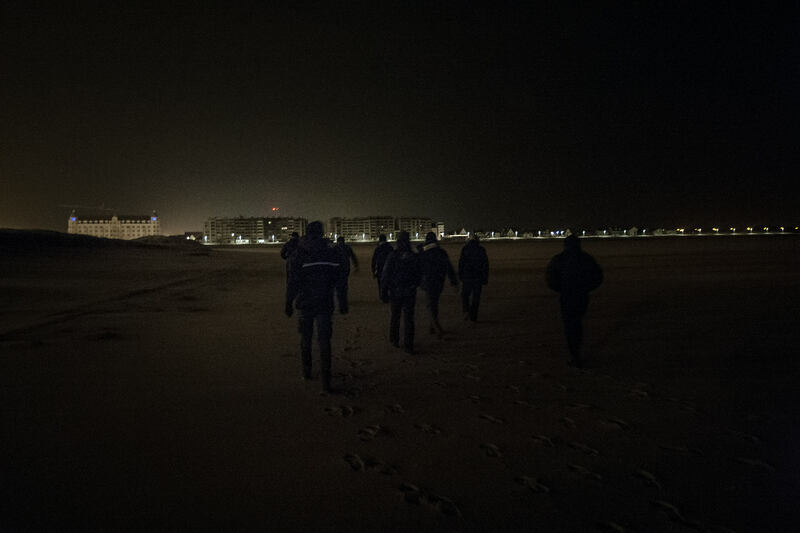 Journalist Maria Groot and photographer Ans Brys ate, waited and ran with the boys who use the darkness to escape from their nightmares and try to realize their dream. Tent city Grande-Synthe, northern France. How does he know, has he been to England? He shakes his head. Has he tried? He grabs his phone and gets up without answering. Everyone at Grande-Synthe has tried to cross into the UK. Some of the camp’s inhabitants up to fifty times, sometimes making several attempts in one night. When you have left your home far behind, have driven, sailed and walked for weeks on end, and paid a lot of money, you don’t give up at 118 kilometers from your goal. Even if there’s a fence, and behind it, a sea. Those who are sinking into the mud, a mere stone’s throw away from their mothers or brothers, dreaming of a job and a future, take their chances. Those who don’t, have no business in the jungle. Unless they are smugglers or ‘runners’. Runners are smugglers’ assistants who take care of the big boss’ affairs. Coordinating, blackmailing, spreading sweet little stories about the country the client is heading for. Like ‘all men are equal there’. Sometimes they look just like their clients, same origins, same worn-out clothes, but they are clearly in charge and they speak more languages than the rest. The ways people try to get out of the camp are as varied as the ways they used to enter it. 2000 to 3000 pounds will get you a jeep to take you to a parking lot, where a truck driver who has been paid off is waiting. Families with children tend to opt for a private person’s trunk. Crossing in a speedboat from Belgium is another possibility; according to a smuggler in a British undercover documentary*, this costs about 8000 euros. But the majority of the illegal immigrants go to the port off their own bat. They simply take the bus. The Artois bus stop is crowded, situated in a residential area right across from the tent city. 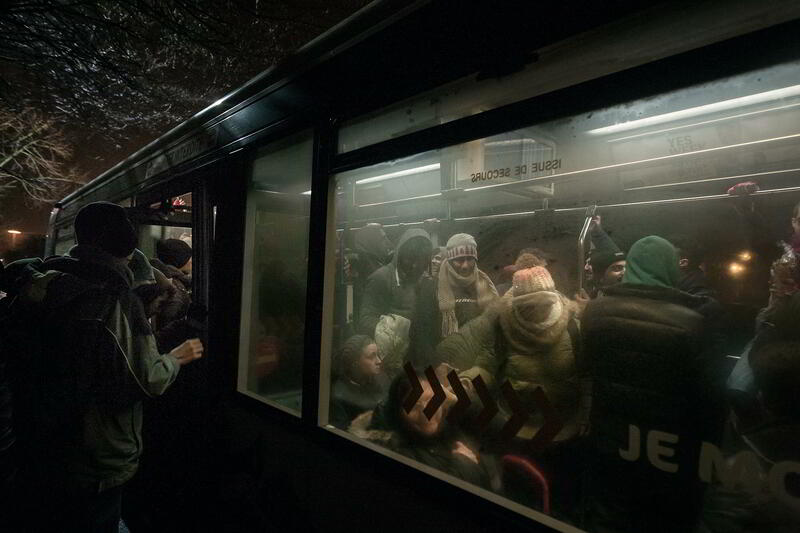 About fifteen boys wait in small groups for the Ligne 1 that runs to the port every 30 minutes. Nearby a bus pulls to a stop, asylum seekers getting offand starting their way back to the camp. As they pass by, they say something that sounds like ‘Belgica’. Bus 1 approaches, its windows all steamed up. As the doors open, revelers’ drunken singing spills out into the street. ‘Carnival,’ the bus driver explains wearily. The asylum seekers get on, mingling with the crowd of painted faces and dancing wigs. When the bus starts moving, most migrants keep their eyes on the ground. 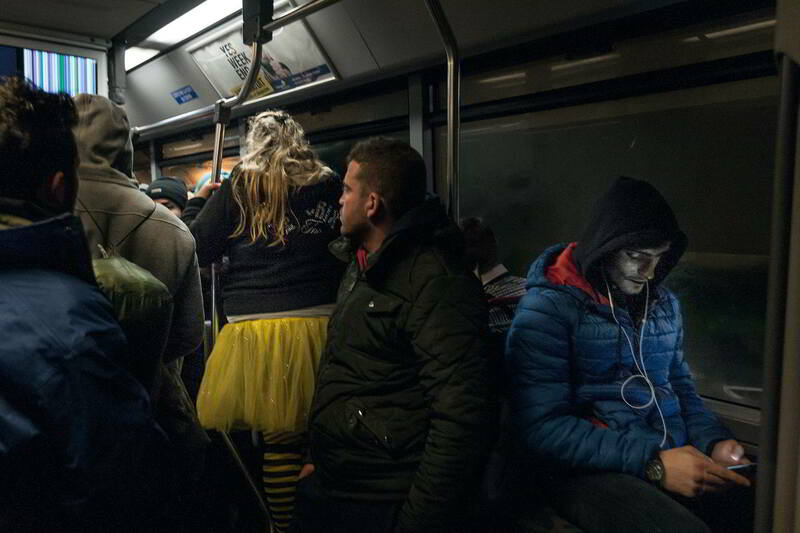 Some boys cast amused glances at a chubby girl in a yellow tutu who is singing at the top of her lungs. The bus grinds to a sudden halt, nearly toppling her over. One of the asylum seekers catches her just in time. The unexpected physical contact scares the girl. Suddenly, the atmosphere shifts. Indignant, she walks up to a friend, a bald, muscular guy who has been watching the situation closely. His neck veins are bulging with restrained anger. ‘Je m’en occupe après,’ he assures his friend, who seems to have sobered up all of a sudden. ‘Ils sont trop maintenant.’ There are too many of them. The revelers’ stop is next. Before getting off, the girl turns around and gives the migrants the finger. A few stops later, the asylum seekers get off. They hurry to a hotel near a large parking lot. When they realize they are being followed, one of the boys turns around. ‘Many problem. Go back.’ They quickly cross a patch of grass between two hotel buildings, and disappear into the darkness. Behind one of the buildings, a cook is smoking under a streetlight. He works at the hotel restaurant. 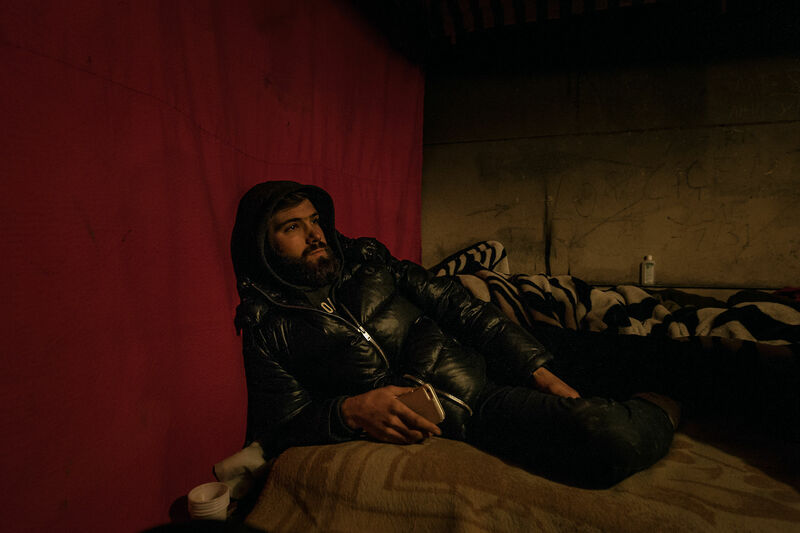 Each night he sees groups of migrants passing by, here, right in front of his door. He shrugs and takes another drag. 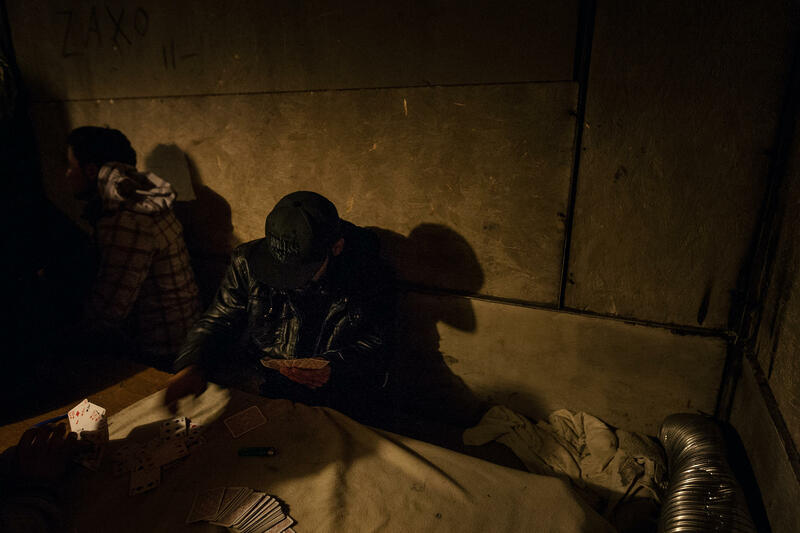 Asylum seekers who are unable or unwilling to pay a smuggler are increasingly turning to Belgium. The Port of Zeebrugge also has a ferry, rumor has it in the tent city. Statistics confirm the story. 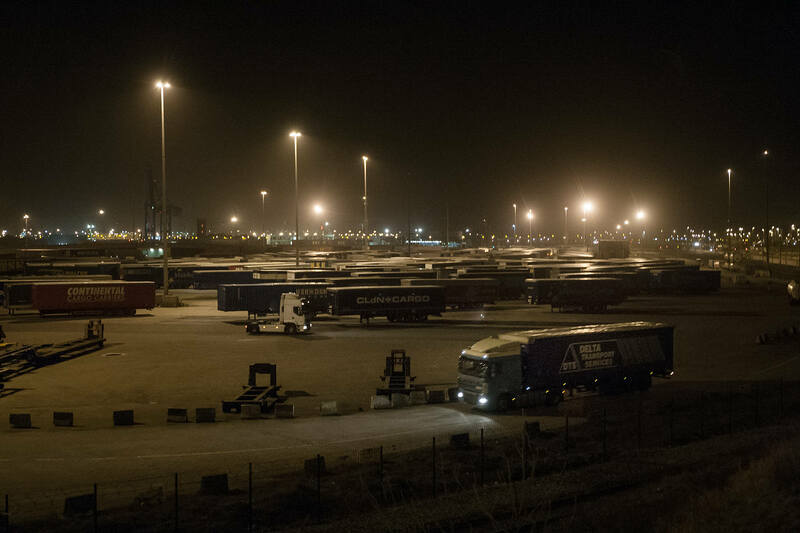 In January alone, 890 illegal immigrants have been detained in Zeebrugge. Carl Decaluwé, the governor of West Flanders, has warned against the emergence of tent cities, adding that port companies have threatened to take their business elsewhere if the problems continue. 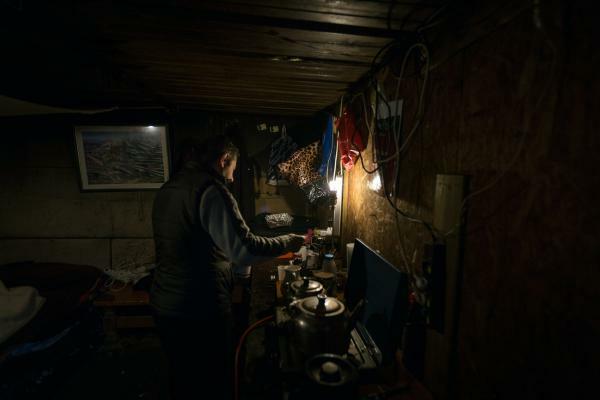 Part of the transit migrants is said to have come via Germany with the help of human traffickers, another part travels from the tent cities of Calais and Grande-Synthe to Belgium. Bus 1 takes them to Dunkirk station, where they transfer to bus 2B to De Panne. There they hop onto the coastal tram to Knokke. Get off at Zeebrugge. Stop ‘Strandwijk’. ‘Strandwijk’ seems deserted around 11 o’clock in the evening. A strong sea breeze chases gusts of beach sand onto the boulevard. An elderly lady with a dog shuffles past deserted bars and fish restaurants enjoying their winter’s sleep. The only illuminated sign belongs to Amiri’s shish kebab house. We receive a friendly greeting from behind the counter, and curious dark-haired boys look up from their tables. Their heavy winter coats, hats and sturdy shoes are signs of a life lived on the streets rather than in homes just around the corner. The owner of the place is originally from Afghanistan. He explains he speaks Farsi, the same language as the boys who turn out to come from Iran and who come here almost every day to get something to eat and drink. Kebab and a fruit beer. Or an ale. They all come from Shiraz, a big city in the south of Iran. There they used to be painters, hairdressers, truck drivers or salesmen. They show pictures of their children and wives on their phones. Pretty, unveiled women with smooth black hair and plumped lips. What are they doing in a kebab place in Zeebrugge? Why aren’t they with their loved ones in Iran? The question hovers over the plastic trays covered with food scraps. At last one of the boys answers ‘Ayatollah not good for Christians.’ He explains that, as a Protestant, he is in danger in his country. Another says his family lives in London. A boy who doesn’t even look 20, wants to go to school in the UK. It’s hard to tell if these really are the needs that drive them, or if some of them are perhaps running from other, forbidden desires. How to separate a mixture of false hope and real despair? Midnight is closing time for Amiri’s place. While the owner is shutting the blinds, the boys are getting ready to leave. Shoe laces are doubled-knotted, pants hoisted up, belts tightened. Biscuits? Check. Cigarettes? Plenty. Utility knife? Check. They are ready to go. It’s less than five minutes’ walk to the beach, where the wind is howling and the beach grasses are sprawled against the dunes. The street lights cast a soft glow over the seaside boulevard. One of the boys scouts the area to see if it’s all clear. ‘Two police vans, one close by and one further away,’ he reports. Between the beach and the port run an embankment and a road. To get to where the trucks are parked to wait for the ferry, you have to cross the road and duck a barbed wire fence. But the police know this too. Every night this square kilometer is the scene of a cat-and-mouse game between Flemish cops on the night shift and Iranian boys who dream of England. The boys climb down dark rocks on the beach, pointing to an opening in the embankment. The cops are nowhere in sight. The hairdresser leads the way, as was decided earlier that night. He bids the others a hasty good night, draws on his gloves and squeezes himself head first through the hole, his legs dangling behind him. His jeans scrape on the concrete, a split-second later he lands on the ground and makes a dash for the parking lot in the distance. He grows smaller with every step he takes until, at last, he has disappeared from sight. The remaining boys watch him go. Suddenly a police car drives past; they duck for cover. Have they been seen? They share anxious looks. They crouch until the blue lights are at a safe distance, but another van is already approaching. ‘Security,’ says one of the boys blessed with eagle eyes. There has been an increase in security these past few weeks, he explains. It has become more difficult. 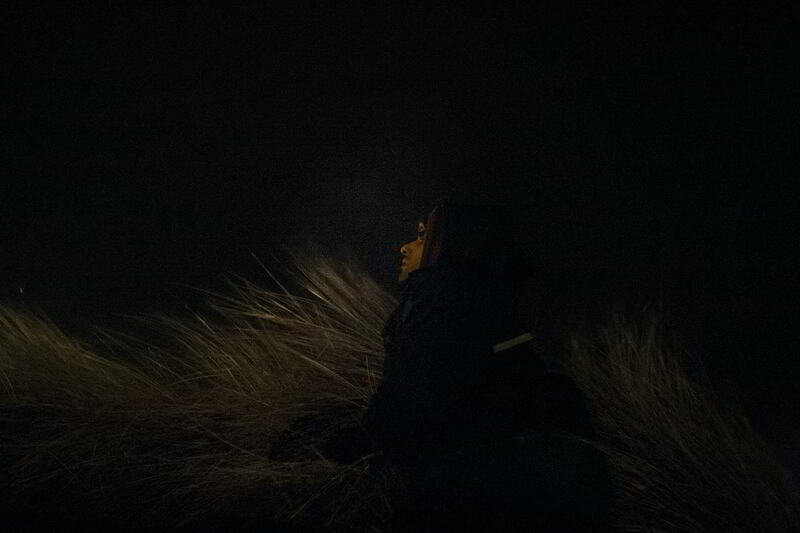 He sits down on some rocks and tries to light a cigarette, but the wind bothers him. Minutes pass, hours. Every now and then someone gets up and peeks through the opening, but there’s always a car they don’t like the look of. ‘No chance,’ they conclude at last. One by one they climb down the rocks and walk back across the beach. Perhaps they will have more luck tomorrow. Het was spannend mee te gaan in het holst van de nacht en iets te proeven van dit “leven”. Opgeven lijkt er niet bij te zijn. Dat is wel bewonderenswaardig. Konden we de kracht en moed van deze mensen maar erkenning geven. En in andere banen leiden. Familieleden herenigen door landenruil van asielzoekers. Wie gaat hen informeren over de situatie in Engeland, hun kansen op het vaste land. Liefst in het land van herkomst al. 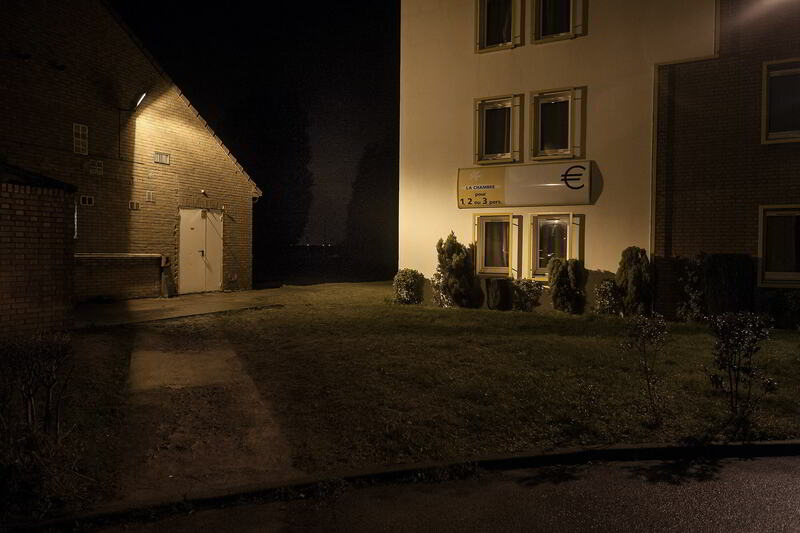 Hen opvangen als zij ontgoocheld zijn en hun laatste geld in de zakken van oplichters beland is. Het ontbreekt ons aan visie op ons vergrijzende continent. We menen de geschiedenis naar onze eigen hand te kunnen zetten. Maar ’t is net als met het klimaat; je kunt de oorzaak niet zomaar weg nemen. Wij Europeanen hebben tal van volkeren gekoloniseerd . Nu komen andere bevolkingsgroepen hier heen, maar niet om ons te onderdrukken en te beroven. Misschien kunnen we leren te delen terwijl wij samen zo goed en zo kwaad als het gaat verder te bouwen aan een wereld die van ons allemaal is. Een insluitende in plaats van een buitensluitende wereld, hoe eng dat ook is.